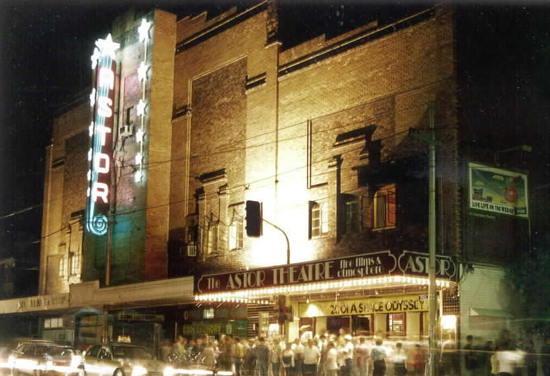 As l have been working at the Astor Theatre for some years now, a number of people have contacted me in regard to the recent publicity about the future of the theatre. For your information, l am forwarding an email that l received from my boss yesterday... it does help to clarify the situation. Anyway - must run - have a double shift to do there today! You may have read or heard in the media recently of plans to change ownership of the Astor Theatre. This has been somewhat misrepresented as us "closing down". We are looking to find an entity to take over the running of the Astor, as well as purchase the freehold. This would enable the freedom to invest further capital into the venture, to re-generate what is a totally unique and original theatre, and re-launch it with a fresh new outlook. My involvement has seen the culmination and fruition of a life-long dream, and a labour of love. It has been very gratifying that well over one and a half million patrons have passed through our doors in the years since we opened in our current format. That so many identified in this "real-cinema experience" is deeply appreciated, as it re-inforced my firm beleif that the Astor needed to be saved and preserved as a living museum to cinema-going at its grandest. May I take this opportunity to thank all our patrons, staff, suppliers and friends for their support, and remind you that without your support The Astor would not exist. 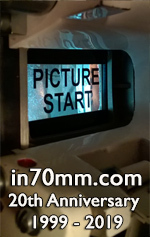 We will keep our website (www.astor-theatre.com) updated with developments as they come to pass. 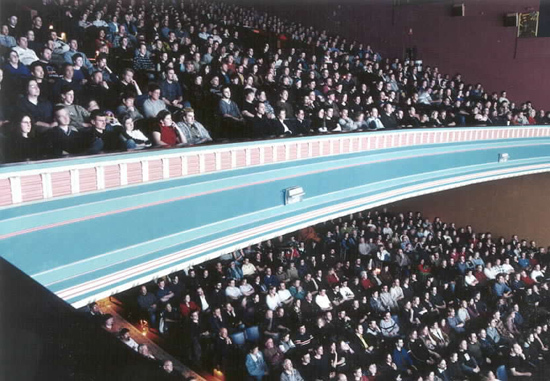 We proudly announce that our wonderful Astor Theatre has today, December 6, 2007, been purchased by our local St Michael's Grammar School. This opens enormous opportunities for both the school and our cinema operation. 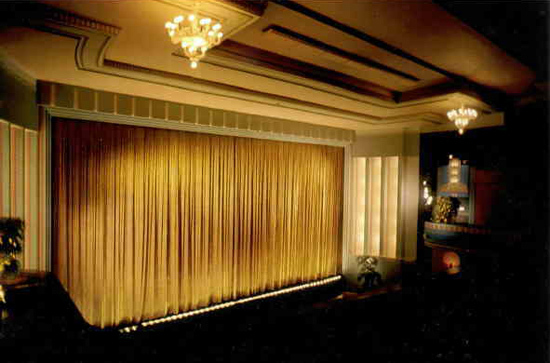 We currently have a few years left on our existing lease, with a long option, so for the foreseeable future The Astor Theatre will continue to screen films of its usual eclectic nature along with special events ... just as always. All around, the best outcome has been achieved, the theatre will be secure in caring hands, prepared to protect and help it develop into a useful, long-term asset for the school and the film community. The Astor could now well survive into the 22nd century! This has been my brief from when I started running the business - to preserve this unique part of Australia's cinema heritage for future generations to appreciate. My heartiest congratulations to St Michael's Grammar School for bringing this wish well into the future. Looking forward to continuing to entertain you. St Kilda's St Michael's Grammar School has been successful in its bid for the site of The Astor Cinema, which was sold at auction today. The sale means that the St Kilda Art Deco icon will remain as a much loved landmark on the corner of Dandenong Road and Chapel Street, St Kilda. "Our acquisition of The Astor Cinema site represents a major opportunity for St Michael's. It's also a lifeline to a fantastic building that has been a part of St Kilda's heritage for over 70 years," said Head of the School, Simon Gipson. "St Michael's has been a part of the St Kilda community for 113 years and remains on its original site, just a block down the road from The Astor," added Gipson. "We are honoured to have become the custodians of a building that holds such architectural and emotional significance for St Kilda." St Michael's, which is renowned for its performing arts program, sees enormous potential in the building. "The School currently stages major productions at external venues such as The Athenaeum, The Malthouse and National Theatres," said Simon Gipson. "The Astor has the potential to house an exciting mix of educational and entertainment options close to our main campus. At the same time, our purchase provides us with a wonderful opportunity to responsibly protect an important part of St Kilda's heritage by restoring key elements of The Astor to their former glory."